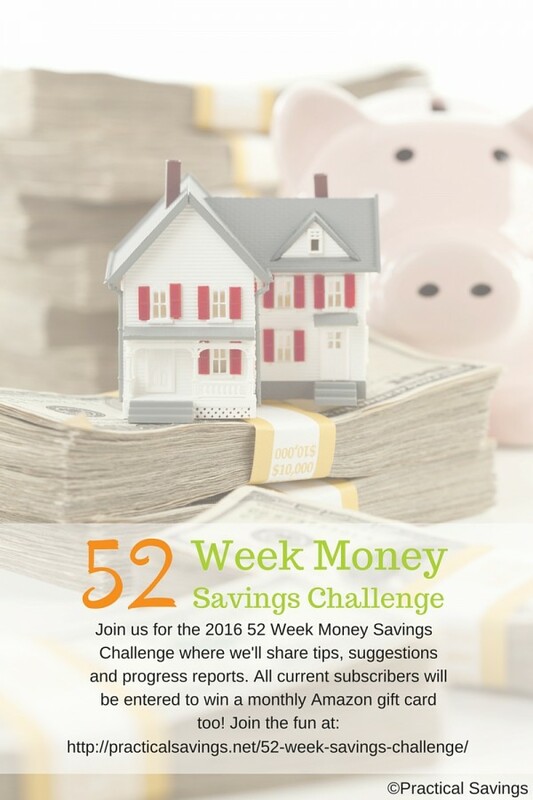 It’s week 10 of our 52 Week Money Savings Challenge! We’ve made it 2.5 months so far and this weeks’ deposit of $10 should put everyone at $55, which is more than halfway to our first $100 saved. How is it going so far? Have you been able to use some of the ideas so far to either help you make those weekly deposits or even add to them? This week we’re going to add Keep the Change to our list of ideas to help save money. Have you ever handed a person a $5, $10 or $20 when paying and tell them to keep the change? Sometimes it might be just be pennies difference, other times it might be a couple dollars or more. The point being, it might not be much at one time, but every little bit adds up. Take that concept and apply it to yourself. When you’re out shopping or paying expense bills, pay what you owe with cash and save the change to add to your money jar or other container. If you pay with your debit card, round the difference in your head between your what you owe and the next dollar and pay it to your money jar. If you’re able to do that for the rest of the year, the amount in your money jar has the potential to drastically grow.